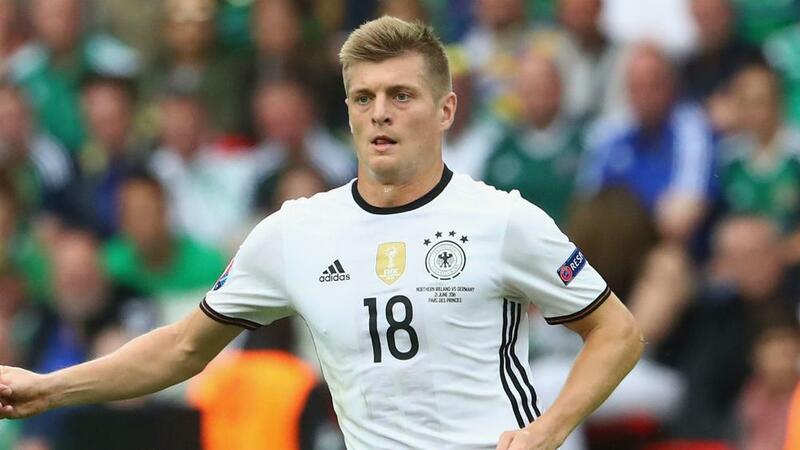 Germany coach Joachim Low has highlighted the importance of Toni Kroos for the reigning world champions ahead of their second-round meeting with Slovakia. The Real Madrid man has been one of the stars of Euro 2016 and Low has nothing but praise for the influential midfielder. "Toni has now only been performing at a very high level at this tournament, but also after Euro 2012 and the 2014 World Cup," the Germany coach said at a news conference. "He always does well for us. He is very economical in his way of playing. He does not make many mistakes. "He brings balance to the team and is always available to receive the ball. His team-mates trust in him. That's why he is a decisive player for us." Germany were beaten 3-1 by Slovakia in an international friendly last month and Low has the utmost respect for Sunday's opponents. "I think Slovakia are a lot stronger than Northern Ireland. They gave us a wake-up call in that friendly in May," he added. "They have a lot of quality and are defensively strong. We will not get a lot of chances. We will find ways to cope with their defensive strength. I was not satisfied with our finishing against Northern Ireland and neither were our players. We will not get that many chances against Slovakia. We must take our chances. We have worked on it in training. "They are very dangerous on the counter-attack, similar to Poland. [Marek] Hamsik is a player we have to keep an eye on." Experienced midfielder Bastian Schweinsteiger has had little game time at the finals following his recent injury problems, but Low is adamant the Manchester United midfielder still has a role to play. "Schweinsteiger has been injured for quite a long time," Low continued. "He has not been in the starting XI since January. That's why we knew he would not be ready for 90 minutes at the start of the tournament. "But he is getting fitter and will play a big role for us at this tournament."